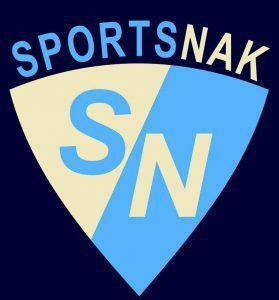 Welcome to the third instalment of “Brother Banter” with the brothers behind SportsNak, Adam and Rossy Pasternak. Keep checking in every week for new “Brother Banter”, and be sure to let us know what you think in the “Comments” section below the article! Adam: This week has been a great one in sports, especially with the Golden State Warriors improving to a historic 16-0 against a struggling L.A Lakers team. It’s truly insane how good the Warriors have started off in their title-defending season. Steph Curry is playing like he deserves another MVP award and even with Luke Walton on the bench they are making history. It just proves my theory that talent is way more important than coaching. This poses my first questions for you Rossy: if the Warriors had Kerr on the bench, but no Steph…do they go above .500? Rossy: I actually read a recent article by Bleacher Report on the same idea, that talent is the most important thing to have in order to be successful. I would counter that talent isn’t the most important thing in order to succeed; the biggest factor is team chemistry. Steph Curry is not only the best player on the team, but also – as Jalen Rose and Bill Simmons over at the now shut-down Grantland like to call it – the chemist. Curry is the leader, and it shows. When Curry passes the ball around, has fun throughout the game, and keeps everything positive in the locker room, the team plays amazing. To answer your question Adam, I do think the Warriors would finish over .500 without Curry, but I do not think they would be a top 5 team in the West. The Warriors are too talented and too versatile and dynamic to fall so far without their star. I do think that without Curry, the ball would stop moving as well, since the whole offence starts with a pick-and-roll with Curry and Draymond Green at the top of the key. Curry’s shooting forces the defence to trap, which makes the defence have to rotate, and that is the key to the exceptional ball movement. Curry forces teams to pick their poison, and each type will kill them. I really think that they could go undefeated until at least December 5th, against the Raptors at the ACC, who gave them some troubles in their recent matchup, or against Cleveland December 25th at Oracle. Adam: I agree the Raps could be dangerous for them, especially coming off a nice win against LeBron and the Cavs last week. What about the recent off-court events that have taken centre stage, involving Jahlil Okafor? He’s only a rookie and he’s only 18 games in to his season, and he’s already gotten in a bar fight, a speeding ticket, and reportedly also had a gun pointed at him in a different altercation at a nightclub! The video is actually hilarious! He knocks the heckler out cold and it just amps you up…but it’s still wrong. He’s a professional athlete, making millions of dollars (as he mentioned to the heckler) and should know better. Okafor’s past hasn’t been troublesome whatsoever and this is very uncharacteristic of him. Is this simply a player on a winless team letting out some frustration? Was he just straight up hammered? Do we have to worry about more off-court antics from the rookie big-man? What will his punishment (if given one) be? Rossy: Yes he is just 18 games into his NBA career, but he is also already 18 losses into his NBA career. Okafor has never been known to be trouble off the court, and has actually been praised by many people within the NBA and NCAA. I think this was simply all of the losses getting to him, as well as those relentless Boston fans. I think he will for sure face a suspension, but I would be surprised if it exceeded 5 games. It seems like there isn’t going to be any legal action against Okafor as well. Sam Hinkie should take this event seriously however, as so-called “hinkie-ball” could be a major factor in his players acting out on and off the court. We have seen it with Michael Carter-Williams, who got sick of all the losing, – and frankly, all the purposely losing – and took it out on his teammates and coaches. Hinkie has to be aware of what losing at such a high rate can do to players attitudes and development. Adam: Yeah, Hinkie’s experiment is getting old in my opinion. I think that after they drafted Noel, they should have used their picks to trade for legitimate NBA talent. Obviously one of those picks was Okafor, but Philly would have probably been a better team and not have had the opportunity to even draft him. I’m not saying ruin the future and trade all the picks, I am just saying they didn’t need to keep them all. Draft picks, especially where the Sixers would be picking, are very valuable and the return package could have been what the Sixers have been missing since Iverson; a star. But the past is the past and here we are today, the Sixers at 0-18. It’s pathetic. Speaking of pathetic, what about those Eagles on Thanksgiving? Megatron had yet another fantastic Thanksgiving Day game (7 straight Thanksgiving Day games with at least 1 touchdown) with 3 touchdowns! Of course, I happened to be playing him in fantasy this week. But fantasy matchup aside, it truly was a great day for Lions fans. All they’ve done this year is lose and not meet their pre-season expectations. It’s been a rough season, but it was great to see them break through for a huge win. Rossy: Yeah, Matt Stafford looked like the Matt Stafford from last year, the one who many thought had finally broken through. I have to say though, putting up big numbers on the Eagles defence isn’t something you can get too excited about. In other Thanksgiving news, Cam is still the man, Luke Keuchly (who looks like Luke from Friday Night Lights by the way), is still leading the Panthers’ D, Tony Romo is still throwing picks and getting injured, and the Packers are still missing Jordy Nelson. I think the best part of the Thanksgiving Day games, which were all blowouts other than the Packers vs. Chicago game, was that no star players got hurt other than Romo. With all of the injuries happening around the league this season, – I’d list them, but there are just way too many – just getting out of a week without losing an integral part of your team is a rarity. Adam: Yeah, injuries have been an ongoing theme this year. I’m just praying there aren’t anymore, especially to the league’s best players (Gronk is only going to miss one game). Although it does create for the underdog-type storylines, it just isn’t good for the game. Speaking of underdogs, are the Leafs a legitimate sleeper this season? James Reimer has been playing out of his mind so far this year until his injury and the Babcock led Maple Leafs have actually played some good hockey. Personally, I think the question is crazy but I did hear a few people talk about the possibility of the Leafs winning a lot more then people originally thought. What are your thoughts on the Leafs being a sleeper/underdog? Rossy: Lets just make one thing clear: the Leafs are not a playoff team. Even with all the coaching and improved goaltending, these Leafs will not make the playoffs. I do think that they will be better than expected, which is unfortunate for those in Leafs Nation. I would never straight out cheer for a team to lose, but as a Leafs fan, I would rather them finish in the bottom 5 than finish outside the bottom 10. I think that the Leafs will keep their play up until the trade deadline, where they will trade away all of their valuable assets for draft picks and prospects. I don’t expect Lupul, Bozak, Roman Polak, Brad Boyes, P.A. Parenteau and Shawn Mathias to finish the season in Toronto. One other player to watch at the deadline is Reimer. If he is not extended, look for Toronto to try to sell high on the controversial goaltender and go with Bernier. Since Reimer is a UFA after this season, it would make more sense to trade him than Bernier, but if he is extended, it could be Bernier who is sent packing. Either way, these Leafs will be much younger after the deadline, and will be playing spoiler for all of the playoff hopefuls instead of being one of those hopefuls. Adam: Babcock also made it clear after last night’s game that Bernier HAS to play a lot better or he won’t play at all and now Garret Sparks is starting his first ever game on Monday! Never a dull moment in Leafs land. Lets switch sports here for a second. What about the MLB offseason? It seems like now with the surprising signing of J.A Happ, that the Jays rotation is set and it looks like Price will end up in Boston. Have the Jays done enough to keep us at a competing level? What about Zobrist, is he going to be a Met after-all? And what about Jordan Zimmerman signing with the Tigers? A year later, it looks like they have their replacement for Scherzer. Ironic it’s one of Scherzer’s teammates from the team he left the Tigers for, the Nats. The Tigers rotation looks to me like a dangerous rotation if healthy. I truly think Daniel Norris will be healthy and pitch well and create a crazy 1-2-3 with Verlander and Zimmerman. The offseason is full of excitement and I love it. There is still so much left to be done and with the annual Winter Meetings coming up, the excitement is only going to go up. That’s all for this week’s instalment of Brother Banter. Check back next week for round 4! What do you think about the topics discussed? Comment below!